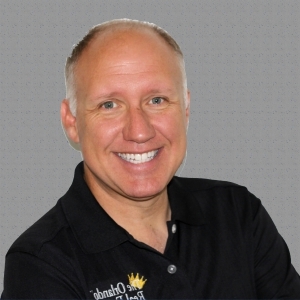 My name is Dave Fontana and I’m a full-time professional REALTOR® with 19 years of experience in Orlando’s market. I have a proven track record of success and rank in the top of Orlando, Florida real estate sales year after year! I know how our current Orlando real estate market is affecting the home values in today’s market. I am also a long-time Orlando resident with extensive knowledge of the neighborhoods in the City Beautiful and the surrounding areas. I will work hard to serve you and help you achieve your real estate goals for 2019. With my premium services and proven marketing system, you’ll find that I can offer much more than the average Orlando real estate agent. I’m confident that my strategy for effectively assisting you with your real estate needs will ultimately result in a long-term Client-Realtor relationship. In fact, many of my clients were personally referred from very satisfied homebuyers and sellers that I’ve helped in the past. I hope you’ll be one of them! Call me today to see why I’m the Orlando Real Estate King! With neither cost nor obligation, you’ll have my prompt, personal attention. TOP 5% of Buyers agent for 2018. Rated by Homelink. Top sales Agents for Charles Rutenberg Realty for 8 years in a row.